Overwhelmed by your planning? No problem! Avoid Stress & Mistakes and Save Money all along... Guaranteed!" If you'd like to prepare your wedding easily, step-by-step, without forgetting a thing or wondering how to deal with any aspect of your planning, then this might be the most important letter you'll ever read. Trouble is, when getting engaged, most couples barely have a vague idea about how to organize their wedding. Usually, they ask for advice everywhere, search the web for information, buy books... and end up spending a LOT of time just to determine the basics of what they need to know. This is why I decided to do something about it. I wanted to create a simple, yet extremely effective system that my clients could use. I wanted them to find their way easily in the wedding process and deal with all the aspects, without wasting days and dollars on useless purposes. Truthfully, it was a difficult task to compile all these elements into one simple scheme that anyone could easily understand and apply. Who said planning your wedding has to be HARD ? I've put together a proven method for you to plan a bright wonderful wedding in an easy and enjoyable way. And the most remarkable part is that it tells you step-by-step what you need to know and how to do it! Your wedding dress - How should you shop? Well, inside the complete "Make My Wedding Easy" planning method, you'll get detailed exponations about everything you need to know and do at each step of your planning. All in a friendly, easy-to-read way that you can apply within just a few minutes. Okay Armand - So what's the cost for this incredible system? Let's do a quick comparison - You could spend hours and hours looking for information piece by piece, never being sure of what is the right thing to do. Or you could let vendors decide for you what the best solution is and write a check for everything they ask you about. Or you could hire a wedding consultant to work with you. The average price I charge for helping couples with their weddings is a minimum of 60$ an hour (which means between 1000$-3000$ for a full wedding). This way, I figure you're getting hundreds and hundreds of dollars worth of my experience inside this new program. But I'm not going to charge you anywhere near that amount or even my minimum hourly rate. 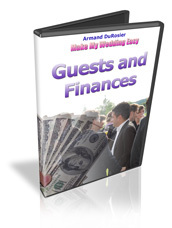 In fact, your total investment for the entire "Make My Wedding Easy" method is just $49.95. SPECIAL DISCOUNT OFFER - I am currently running a promotion for a limited time. If you buy today, you will access the full method for the special price of $29.95. This is a temporary offer though, and the price is very likely to increase back to normal after Midnight . Considering the average wedding in America costs around 27 000$, this represent around 1/1000th of your total expenses... Just for you to get all the information which is inside, this would be the cheapest deal ever. But it is actually even better : considering all the money saving tips you'll find in the method, you will actually save money! So what's the catch? Why am I practically giving this method away? Well, it's really quite simple. Since you'll be downloading the manual directly from the Internet, I have no inventory and no fulfillment costs. I don't need to pay anyone to take the orders either (though you're welcome to email me at support@makemyweddingeasy.com to rest assured that I am a real person). This way I can pass along my cost savings to you. So you win and I win. But don't worry, downloading the manual is a snap. I'm no "techno whiz" and I had no problem (The ebook works with both MAC or PC computers). But I cannot promise I will stick to this price though. As I said, I am doing some promotion right now but the cost is very likely to increase to 49.95$ after . Ever worried about forgetting crucial details? Or wondered what is the next thing you should do? This will not happen for YOUR wedding. This booklet will take you by the hand from wedding newbie to happy couple. For each step, you get a specific page with a list of actions to tick. It is very easy to use, as it deals both with chronological and thematic aspects. Just follow the steps, tick the boxes and get ready to roll! 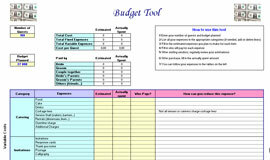 Are you afraid of going over budget? 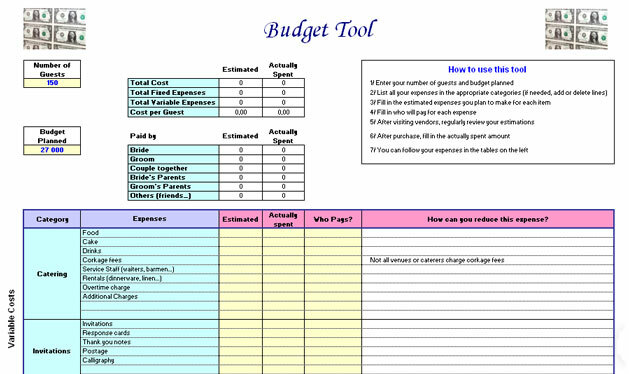 This Excel file is simple to use, and will allow you to perfectly control your finances. For many couples, guests are THE most difficult part to manage. 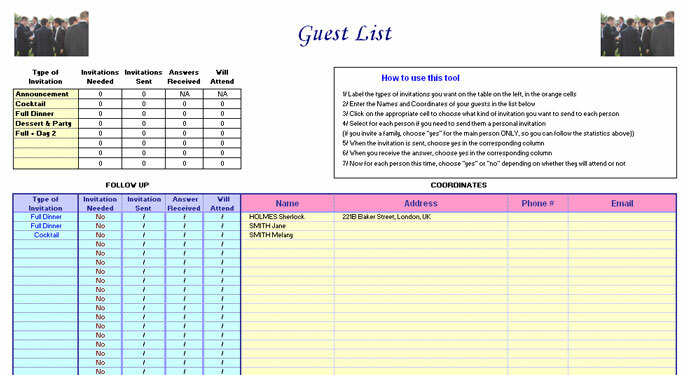 Use this easy Excel file to define who you want to invite, manage answers and stay up-to-date on who exactly is coming. This is a must have that will really simplify your wedding! 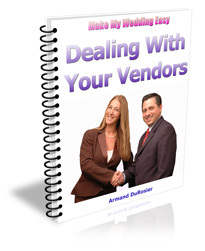 If you want to avoid bad surprises, have full control over your event and of course save money, you need to know exactly what to ask your vendors. Just fill in the answers, compare and decide who you want to work with, under which conditions... Now YOU are the boss! I don't want to tell you too much about this special bonus. Let's just say it's a set of extra forms and tools which put together will allow you to remove any remaining stress while creating uniqueness on your wedding. Be prepared... You're gonna love it! I know this method is so complete and easy to use that you will be completely amazed at how much it will simplify your wedding. Nonetheless, I want to let you see for yourself, and try the whole manual entirely at my risk. What I'm saying is, don't decide now if the method is right for you. Just get it and try it out. Once you've used the method to simplify your planning, save time and money, get new perspectives to set a wonderful event, I'm confident that you'll just NEVER want to send it back! But if for any reason you were not satisfied, or it doesn't live up to your expectations, then you can get every dime of your money back under our fullproof guarantee. Just send me an email and I will immediately refund your payment. Right up to the final day of this 60 day guarantee. No questions asked, no hard feelings and no hoops to jump through. This way, you have nothing to lose and everything to gain. Is that fair or not? Aren't you tired of worrying about forgetting crucial details, exceeding your budget or holding a party that's not as fun as you dream of? If so, why not turning the time and money you spend into actively setting up your wedding the ideal way - without risking a dime, today? Yes Armand! I want you to show me how to get the most wonderful, unique wedding ever in the easiest possible way. 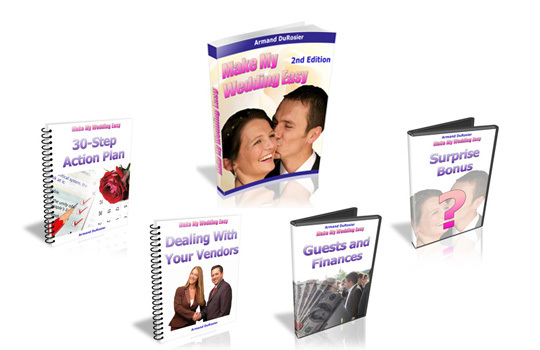 Please show me how to plan my big day step by step, in detail, while saving money all along! I understand that I will get the revolutionary "Make My Wedding Easy" system. 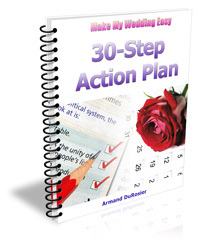 Complete with the eBook, 30-Step Action Plan and all the practical Tools and Bonuses. The whole thing is completely downloadable on my computer so I can be trying it out in just a few minutes! I also understand that the whole package comes with a full 60-Day Money Back Guarantee. So that if for whatever reason I decide the book isn't for me, I can get a full refund without any question asked. And even if so, I can keep all the bonuses for Free! "Make My Wedding Easy "
Even if it's 2am in the morning! I look forward to receiving a message from you about how successful you're doing with your wedding planning. I receive a lot of emails, but the ones from my customers always touch me particularly. Please write to me, whether you have any comment or a great story to tell about, I will be happy to read you! P.S. You'll be amazed at how easy it will become to prepare your big day thanks to the "Make My Wedding Easy" method. This easy, step-by-step guide and all the tools will save you time and money, while you set up an event your family and friends will remember forever. In just minutes, you can start using this method to plan a wonderful wedding... completely at my risk! P.P.P.S. Your wedding is approaching and you need to make a choice. Do you want to spend hours looking for solutions you may never find, spend money on things you don't need or take the risk of missing crucial details? Or do you want to start on the best track and start reading the method within minutes? Again, you don't risk anything thanks to my complete 60-day no questions asked 100% money back guarantee. You're just one click away to start planning your weddding successfully! © 2007 makemyweddingeasy, All Rights Reserved.